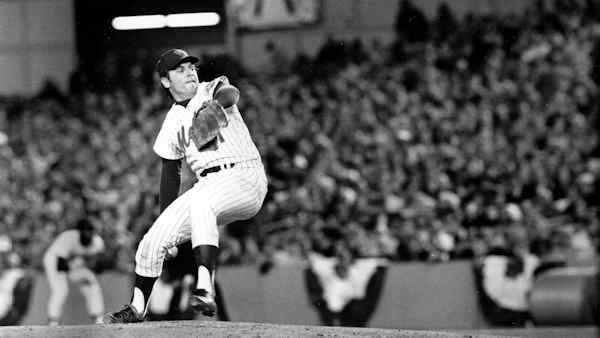 NEW YORK (WABC) -- The Mets went to their second World Series in 1973, perhaps as the most unheralded team in series history, and they rode the arm of Tom Seaver every step of the way. The team, which was inspired by the "Ya Gotta Believe" rallying cry started by relief pitcher Tug McGraw, made an improbable run to the postseason after sitting 12 games under .500 with 44 to go. Their 82-79 record was enough to win the mediocre NL East on the final day of the season. Seaver's gritty performance in a 7-2 Game 5 win gave the Mets their second NL pennant, despite the fact that the ace was constantly pitching out of jams. The Shea Stadium crowd poured onto the field after the game's final out.